One of the reasons we all love "The Greatest Showman" so much is they live happily ever after. Although PT has feet of clay, he redeems the situation and all affected ride into the sunset reconciled and redeemed. Or so the world of movies would have us believe. 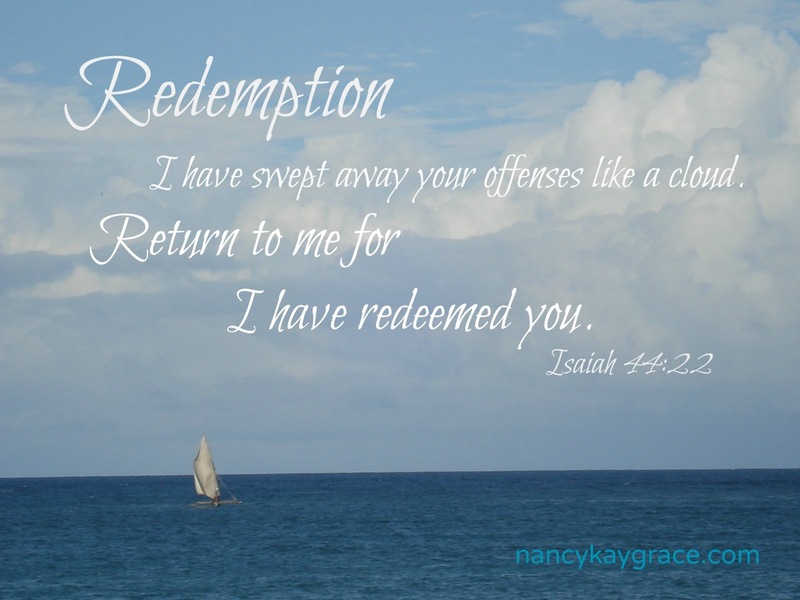 Recently I had a very brief talk with a sweet friend concerning redemption. She was reminding me of the impossibility of a life circumstance ever being reconciled due to the death of the one who created the situation. I commented that I knew how difficult it was to know this would never be redeemed. As I walked away, I had a nagging dissatisfaction with my comment. Following a great deal of reflection and thought, I have had a change of heart. 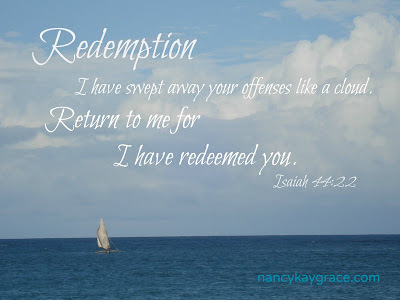 There is redemption--always--with Jesus in our lives--there is redemption. Life sometimes brings disappointments--and at times these disappointments are at the hand of our fellow man. When there is no possibility of redemption or reconciliation, how do we find peace? As I have thought this over, I was struck (we all know who does the striking) by the notion that we are only responsible for our side of the redemption of any situation. When we have been wronged, our side is to forgive. By God's example, we are to extend grace, and forgive those who have wronged us. The prayer Jesus taught us, reminds us that we are to forgive those who have sinned against us--"Forgive us our sins as we forgive those who have sinned against us." At the very center of it all, we only have control over our part of the equation. There is peace to be found in doing our part without the completion of the steps needed for redemption. We live in a fallen world and in this world we will not always have the opportunity or means to reconcile and redeem all circumstances. How do we live with these unresolved issues? By doing our part of what is required and asking God to grant us the ability to accept those things which we have no control. God has promised to give us peace---and God always fulfills His promises. Great post. I haven’t seen the “The Greatest Showman”, but I can hardly wait. You will love it, Vannie!! Great post, haven't seen it either. I looks to be a good movie, Lulu. Have a beautiful day friend. Put it on your list, Friend! PS--WARNING--not sure the boys will love it! Sometimes in life we have major disagreements with someone else - e.g. divorce, family disputes etc ... Often the damage and pain are not repairable and no forgiveness or reconciliation is possible. This is particularly painful when the other person does not seek, nor care for, forgiveness and reconciliation. What should we do in these circumstances? 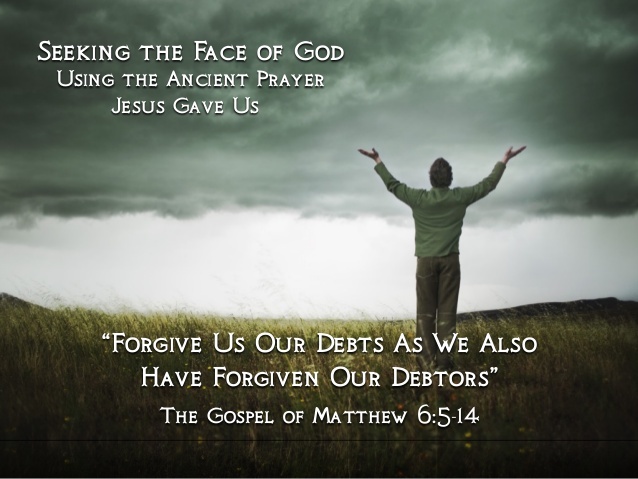 If we are at all guilty, we should seek forgiveness from the other person and from God. If the other person is guilty and not seek forgiveness we should forgive them all the same. Honestly and sincerely in our hearts and before God. If the other person is dead; then they are no longer our problem in the matter. They are in the hands of God and have seen the situation clearly, and have seen your remorse (if any) and the error of their ways (if any). Our job now is to seek and receive God's forgiveness in the matter. I've seen that come to pass and I'm so thankful that the Lover of our Souls, the Healer of our bodies and emotions can redeem our pain in ministry to another. Absolutely, Lulu! We can only control our side of any equation. And with God's help, we can do so.